The Anishinabek Police Service is the host Police Service for the Hope in the Darkness Walk for Youth Mental Health. Anishinabek Police Service is an Anishinaabek Nation service based in south, central and northern Ontario and serves 16 First Nation communities. Anishinabek Police Services covers a huge expanse of Anishinabek traditional territory. Robert Campbell is a 57 year old father of 3 whom he enjoys spending time and whom he is very proud. He is an Algonquin of the Algonquin’s of Greater Golden Lake First Nations. Robert spent 33 years with the Peterborough Lakefield Police Service in Peterborough Ontario before retiring in 2013. He is presently on a contract with the Anishinabek Police Service Curve Lake First Nations Detachment as a Senior Constable. Robert enjoys and is passionate about community involvement. Putting his feelings into action becoming involved in several community minded endeavours including Cops for Cancer, Law Enforcement Torch Run, United Way Police Co-ordinator. Past President of Ennismore Minor Hockey Association, former Executive Member of the Ontario Junior C Schmalz Cup Champions Lakefield Chiefs and Past Chair of Canadian Association Retired Members (C.A.R.P.) to name a few. His other passion is business and he has owned several successful businesses including, The Anchorage a summer resort on the shores of Paudash Lake in the Bancroft Ontario area. Owned and operated three Subway Sandwiches and Salads Franchises in Pembroke and Peterborough Ontario. He also owned the Peterborough Franchise of Home Instead Senior Care based out of Omaha Nebraska. My name is Mitchell Boulette and I have been a police officer since 2004. I am currently working out of the treaty three headquarters and just recently took on a new role as the youth mental health officer. 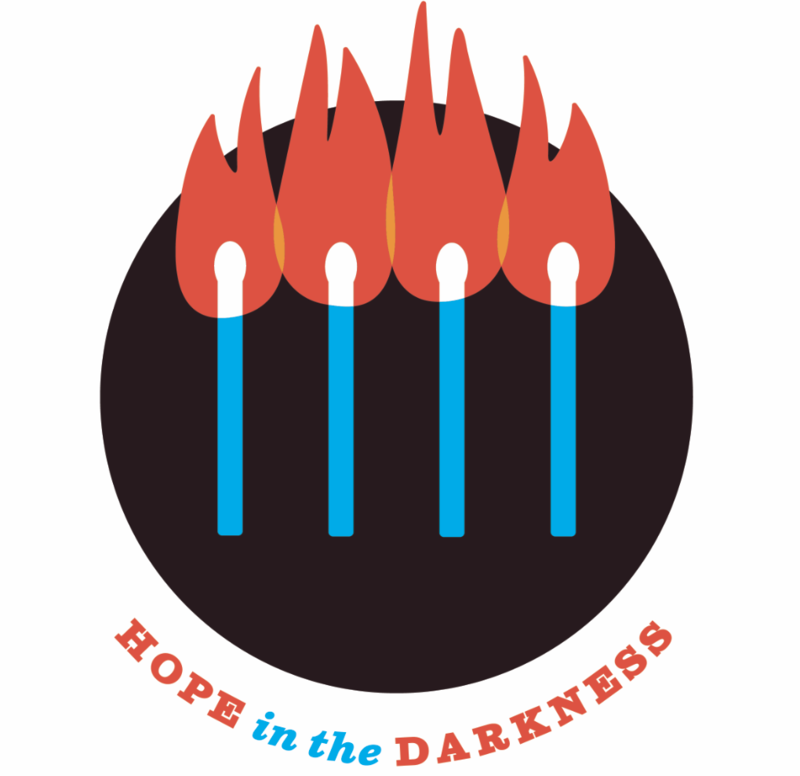 I am honoured to have the opportunity to join in the Hope in the Darkness movement for youth mental health. Policing can be a very stressful and at times a thankless profession. As Police Officers we often witness people at their worst and are often called upon to help those in crisis, something I have seen way too much of while working in the Treaty Three area. Witnessing these moments when people are in need inspires me even more to help not only our youth but all of the people in our communities. Having lived with personal struggles of my own, I can relate to people and share my own experiences and hopefully set an example for those in need. My advice to young people is If you don’t take care of yourself, you can fall into a depression. Within a few years of my own career I began to struggle myself with depression as I kept the negative things I saw and experienced in the during of my employment bottled up inside. This way of living was not healthy so I sought out treatment and addressed my own health so I could better serve the people in our communities. I feel strongly about the awareness of youth Mental Health due to my own personal issues and own personal loss of family. I want to help share the message that as police officers, we are here to help and listen. I’m assisting with this walk will help create the awareness for an issue that is plaguing our communities. Delores Day is an Anishinaabe from Naotkamegwanning First Nation in Treaty #3 Territory. Delores has a wealth of experience working in Indigenous governance, government, economic and community development. Zaagaasge Pegahmagabow is an Anishinaabe father from Wasauksing First Nation. A certified outdoorsman, Zaag brings many skills to the Hope in the Darkness Walk for Youth Mental Health, including his quick and witty humour. Tom Malakos is an entrepreneur from Peterborough, Ontario who has been involved in community volunteering for many years. Tom has a passion for community driven volunteering and fundraising. Allan Campbell is from Pembroke, Ontario and has been involved in community work. The brother of Robert Campbell, Al travelled to the west coast to join the west coast team through the lower mainland into the Kamloops region. Ryan Red Corn is an Osage photographer and graphic designer who designed the logo for Hope in the Darkness. He is one of the co-founders of Buffalo Nickel Creative and is a member of the the 1491s.